Building Sales grinded to a virtual halt with only two sales over $50 million. 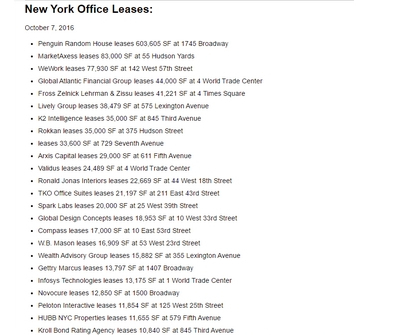 Office leasing was light as major corporations are taking a wait and see attitude as rents are expected to continue to fall. 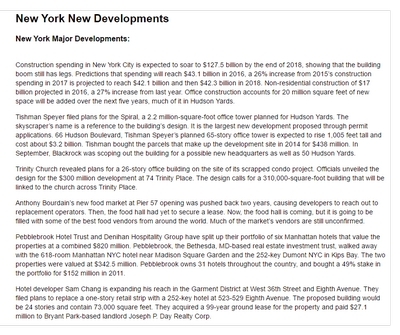 High end office rents should also deteriorate as fewer and fewer $100/RSF rents are achieved and more hedge fund space comes back on the market. 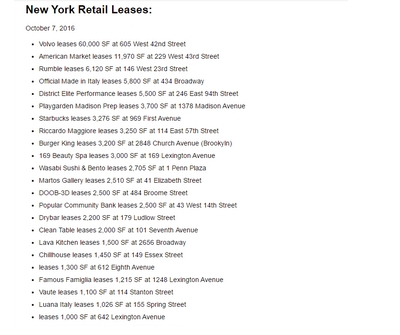 Retail rents should plummet as retail sales did over Christmas combined with the store closing of banks and national retailers who not only close stores but cancel or curtail new expansion as well. 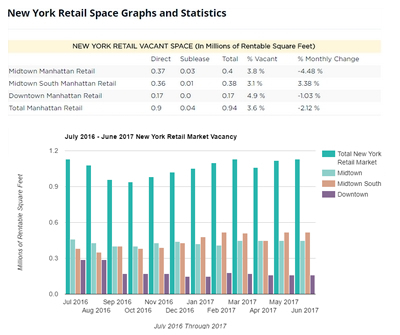 Vacancy rates continued to rise and leasing activity and asking rents fell in November across Manhattan's three main office markets, Overall leasing activity in Manhattan fell to 1.01 million square feet in November from 1.44 million square feet in October, while the vacancy rate rose to 6.9 percent from 6.6 percent between the two months. The average asking rent declined to $68.53 per square foot from $69.10 per square foot. 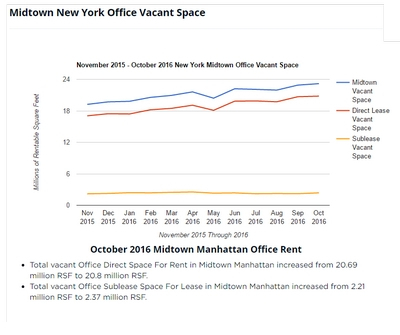 The steepest decline in activity was in Midtown South, where leasing activity dropped 67 percent between October and November, to 130,000 square feet from 390,000 square feet. 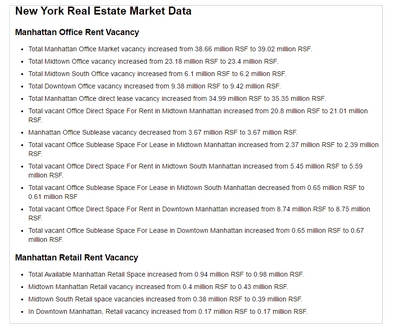 The vacancy rate increase was also greatest in Midtown South, to 7 percent from 6.5 percent. 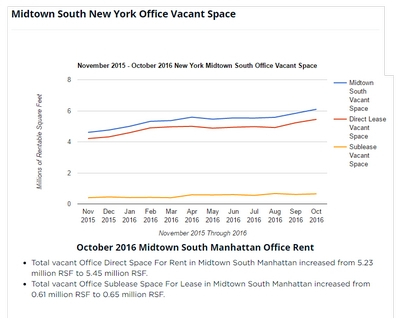 The average asking rent in Midtown South declined to $52.46 per square foot from $52.77 per square foot. Downtown saw the greatest rent change. The average asking rent Downtown was $49.19 per square foot in November compared to $50.12 per square foot in October. 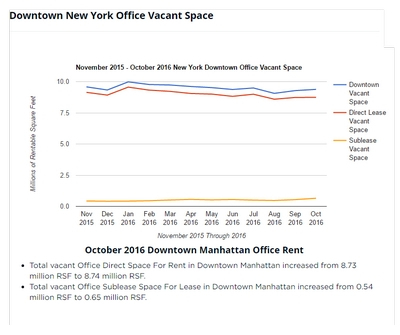 The number of new Manhattan leases with rents of at least $100 per square foot is shrinking. 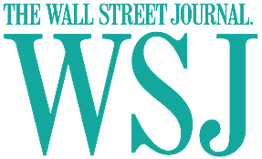 The companies that pay those kinds of rents, such as hedge funds and private equity firms, are no longer looking for space. The decline in rent rates could be a problem for the city's growth, because rents of at least $100 per square foot are needed to justify construction costs. The down commercial market is a good time for companies to trade up to better buildings and better built-out spaces. 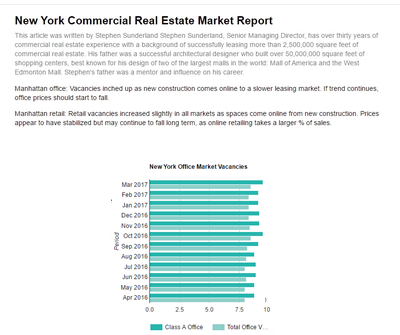 A large downtown block of space that's available and fully built-out is Citigroup's 1.2 million square feet at 125 Broad Street, at South Street. 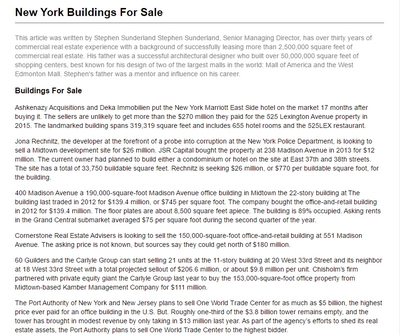 Citigroup notified landlord Mack-Cali Realty Trust that it won't be renewing its space there at the end of 2009, and can make space available sooner as some of the floors are sitting empty. Office rents continued downward last month. Asking rents in Manhattan fell 3.8 percent in November to $57.49, off a peak in February of $65.75. 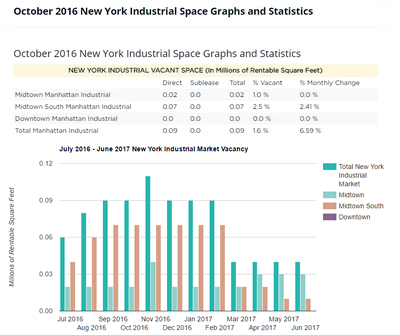 The vacancy rate remained flat at 6.3 percent, but the availability rate jumped .6 points to 10.9 percent. Despite the real estate bust, prices per square foot in luxury retail locations around the world remain high. In New York, the average rent along Fifth Avenue reached $1,850 per square foot. 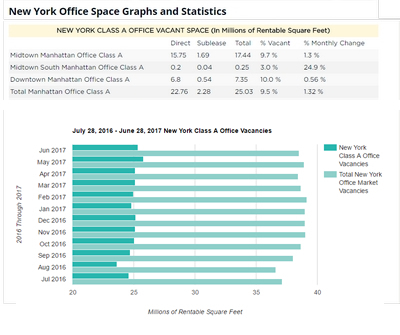 Demand for Fifth Avenue spaces gives tenants little bargaining power to renegotiate their leases. Real estate investors are concerned about financing, the creditworthiness of tenants, and unforeseen economic problems next year.